2019 Opening Day: Monday, May 13 at 10:00 a.m.
Monday – Friday: 10:00 a.m. – 12:30 p.m. and 1:00 p.m. to 3:30 p.m.
Tuesday & Thursday Evenings (June – September only): 5:30 p.m. – 8:00 p.m. The Hospital Thrift Shop sells merchandise donated by island residents and visitors – anything from clothing to furniture to artwork – from May through October, and operates as a separate non-profit organization with a small staff and a team of dedicated volunteers. 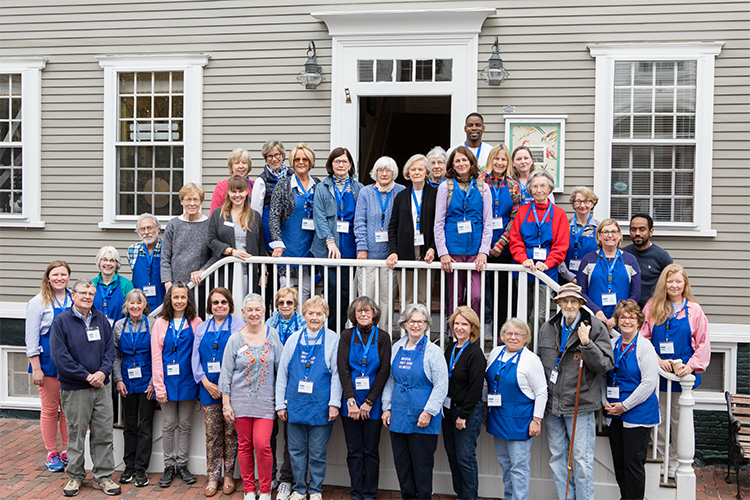 The 2018 season marked its 89th year in business on India Street and resulted in a $386,000 annual contribution to Nantucket Cottage Hospital that was used to purchase new medical equipment and other capital items, as well as handmade furniture for the new hospital. An additional $41,610 was contributed to complete the Shop’s $500,000 pledge toward the construction of the new hospital. This total gift of $427,610 represented the largest annual contribution in nine decades of steadfast support of the hospital. In 1929, a group of dedicated volunteers came together to provide affordable clothes and household goods to the island community and to generate support for the hospital. The gift from “The Thrifty Shop” that first year was $603. Since then, the Thrift Shop has contributed more than $4 million to the hospital, an incredible legacy of generosity. It involves everyone: residents who give gently used items, volunteers who manage every aspect of the business, and shoppers who get great deals. Old clothes and furniture are transformed into new radiology and lab equipment, a remodeled dialysis unit or new furnishings for patient rooms. Clean, gently used items around your house, including clothing, furniture, decorative items, housewares. Items that are broken damaged, dirty, odorous, worn-out, stained, torn, wet, moldy, rusty or frayed do not sell. Similarly, items that have spent numerous seasons exposed to pet hair, smoke or the elements do not sell. We are forced to haul unsold items to the dump/recycling center, which costs us money and reduces funding to the Nantucket Cottage Hospital. 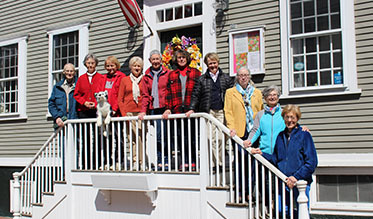 After an incredible five months of sales on India Street in downtown Nantucket, the Hospital Thrift Shop announced a $327,000 gift to Nantucket Cottage Hospital. 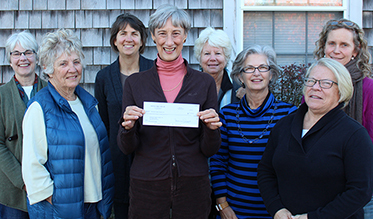 The 2015 gift has been earmarked for distinct purposes, including $177,000 for cardiac stress testing and telemedicine equipment, as well as $150,000 that will be set aside for the capital campaign for the new Nantucket Cottage Hospital. The Thrift Shop has now raised $300,000 toward its original pledge of $500,000 for the new hospital. Sports Medicine & Physical Therapy Associates, the island’s leading physical therapy program, relocated to a new state-of-the-art facility just a short distance away from the hospital campus at 6 Bayberry Court. The relocation was made possible by the Hospital Thrift Shop, which donated nearly $300,000 toward this effort. 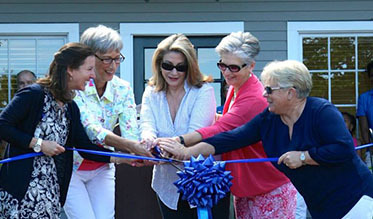 In 2014, the Hospital Thrift Shop donated $250,000 to Nantucket Cottage Hospital, which has been designated for four specific purposes, including: $150,000 toward the goal of an eventual $500,000 donation to the NCH capital campaign for the construction of a new hospital; $75,000 for equipment needed for a new primary care office space within the hospital; $15,000 to the Social Services Department; and $10,000 to Palliative & Supportive Care of Nantucket for the Marla Lamb Cancer Travel Fund.